Is this a UK bike or an import? Any extras / upgrades to the bike? 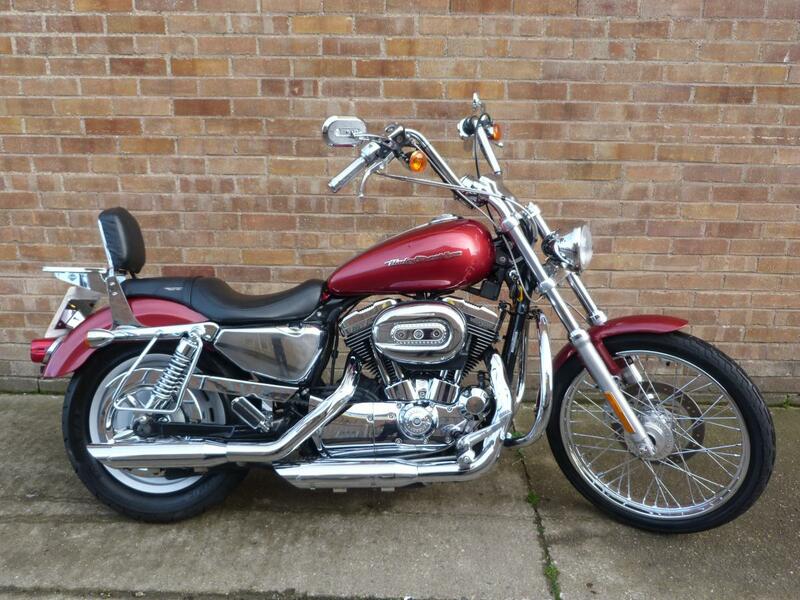 Here for sale is a 2006 06-plate Harley-Davidson XL 1200 Sportster Custom Sport with 16,244 miles on the clock. This Stunning example has been lovingly looked after and has a Full Service History. Th bike not only looks fantastic but it also Sounds awesome too, it is fitted with a set of S&S exhausts, rear sissy bar with rack, chrome engine bars and numerous chrome extras! The benefit of buying at Ireland's Motorcycles is that each bike comes fully serviced and prepared by our fully trained technicians, it comes covered by a minimum 3 months warranty if no manufacturers warranty remains and will have 12 months MOT. If you are viewing this machine from out of area and would like to see more images please don't hesitate to ask. We appreciate that distance buying does have a level of apprehension so please let us guide you through the process. Part exchange welcome, please send over all your vehicle details for appraisal and if possible some images showing its condition. Delivery can be arranged separately anywhere in the UK using a Fully Insured and reliable third party delivery company. Finance available through our lending partners at Black Horse motorcycle and MotoNovo finance, finance is subject to meeting the criteria set out by the lenders. Many thanks for taking the time to look, browse and hopefully you have enjoyed what you have seen.